That the new Golden Age of Television coincided with huge advancements in computer-generated effects can’t be a coincidence, right? Sure, celebrated shows like The Wire and Deadwood were maaaybe better known for their writing than they were for CGI, but these days it’s hard to find a classic show that doesn’t somehow include seamless special effects. Most of the big genre hits have effects that rival or surpass those found in summer movies, but even dramas like Breaking Bad and Mad Men use computer imagery in such crucial ways that these shows may have been prohibitively expensive to produce in earlier eras. So let’s give all those unheralded tech whizzes their props: Special effects have never been better or more crucial to the shows we love. Below are some off-the-top-of-our-heads picks for TV shows with the best effects work. Which show’s visuals are YOU constantly amazed by? Game of Thrones – is another show that uses effects in both ostentatious AND subtle ways. There’s no debate about how straight-up incredible the wildfire incident was, but Season 2 also gave us Dany’s haunting hallucination scene, plus the now-CGI direwolves looked just as organic and normal as their real dog predecessors. And those baby dragons looked so real that I’m pretty sure everyone in the world wants one now. 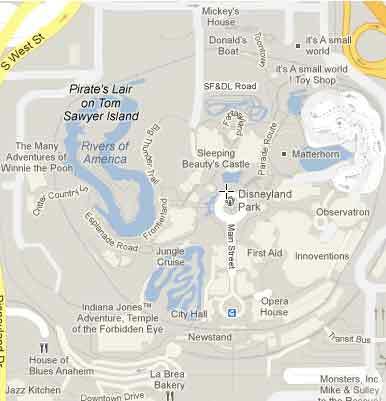 Last night, I received an email from the “Follow Your World” application of Google Maps that alerted me that there was new imagery for a “point of interest” of mine. Sure enough, I had entered our home address in the tool back when it launched in October of last year and forgot all about it. The new satellite images are pretty recent – as there’s a new house being constructed on our block and the image has the roof shingles installed and the driveway in; which are both pretty recent events (within the last month or so). The Follow Your World tool is a neat little app that gives you a heads up when Google updates their imagery of your house. We’re still not on StreetView (our block) so I’m hoping that one day soon, a note like the one above will arrive that will include the details of how our house is now included in the StreetView collection. I entered my house and a few other places too. 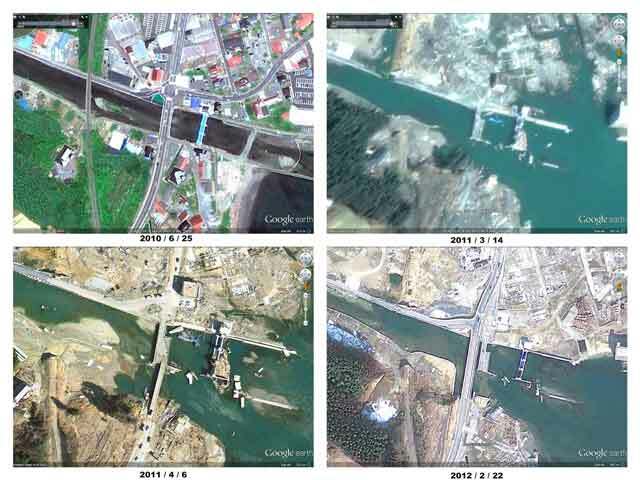 On the 1-year anniversary of the earthquake/tsunami that hit Japan, Google Maps updated its imagery all along the coast. 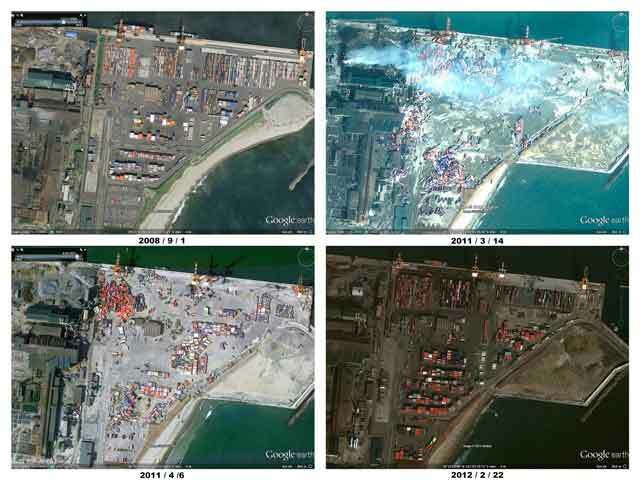 This included side-by-side shots of two specific regions, the Shiogama Port and the Sanriku Bridge. The photos are: years before, days after, one month after, and a year after. The devastation is incredible, but so is the recovery.